Top picks for this weekend’s RVA events here!! #804Day Celebration at Buskey Cider in Scott’s Addition – On Saturday, August 4th, aka 804 Day, Buskey Cider will be throwing the third annual #804DAY event, celebrating all that is Richmond over pints of cider, cans of beer, and incredible makers that are local to RVA. Neighoring brewers will be in attendance and there will be food, local vendors, and much more. The fun starts at 11:00 AM. More here. BrewHaHa at Virginia Museum of History & Culture – To kick off Virginia Craft Beer Month, the Virginia Museum of History & Culture will host its second annual “BrewHaHa Craft Beer Festival” on Saturday, August 4th. The event will feature beer selections from many of your favorite Virginia breweries, live music, and food options. A new VIP event, “Battle of the Brews,” will showcase Richmond-area breweries’ renditions of a historic beer recipe from the museum’s collection. Tickets start at $30. Purchase tickets online here. Back-To-School Expo and tax free shopping at Regency – Join Regency for the second annual Back-to-School Expo this Saturday, August 4th. This free, one-day event is a one-stop shop for back-to-school resources including afterschool care, nutrition, tutoring, finance, fashion, sports, housing, health and medical needs. You can take advantage of Tax-free weekend and the various sales throughout the center, too. You can also bring school supplies into the mall and drop them off at booths in Center Court near Sephora to help those in need start the school year on the right foot. The event kicks off at 10:00 AM at the mall. Learn more here. 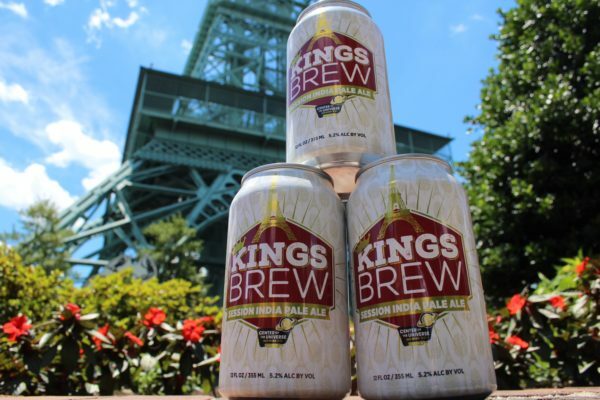 BBQ & Brew Fest at Kings Dominion – Kings Dominion’s Executive Chef and culinary team are firing up the smoker for the fourth annual BBQ & Brew Fest featuring more dates, more BBQ, and more local craft beer. And the celebration goes all month long. This year’s menu includes dishes inspired by the BBQ styles from Hawaii, Texas, Tennessee, North Carolina and more. Those 21 and older can quench their thirst with a variety of craft beers from the area’s best local breweries. See the full lineup and learn more here.